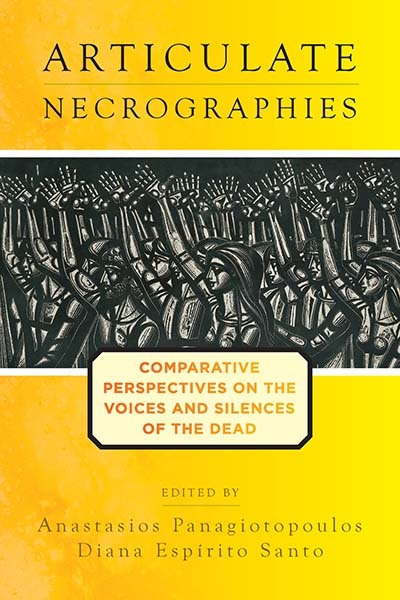 Going beyond the frameworks of the anthropology of death, Articulate Necrographies offers a dramatic new way of studying the dead and its interactions with the living. Traditional anthropology has tended to dichotomize societies where death “speaks” from those where death is “silent” – the latter is deemed “scientific” and the former “religious” or “magical”. The collection introduces the concept of “necrography” to describe the way death and the dead create their own kinds of biographies in and among the living, and asks what kinds of articulacies and silences this in turn produces in the lives of those affected. Anastasios Panagiotopoulos is a senior post-doctoral researcher at Centro em Rede de Investigação em Antropologia – Universidade Nova de Lisboa, Portugal. His research includes the role of divination in Afro-Cuban religiosity, as this is related to issues of personhood, the historical imagination, race and secularism, among others. Diana Espírito Santo has worked variously on spirit possession and mediation, in Cuba, with Afro-Cuban espiritismo, in Brazil, with African-inspired Umbanda, and more recently in Chile, where she is currently examining ontologies of evidence in parapsychology movements and paranormal investigation.